This particular Red Quill, created by Art Flick in 1933, is used to suggest the male dun mayfly ephemerella subvaria. Following the Quill Gordon in season, this pattern fishes well as a dry Fly Fishing gets into full swing and continues to serve at other times as a good search pattern. It differs from the Hendricksons in the hackle feather stem used for the body. 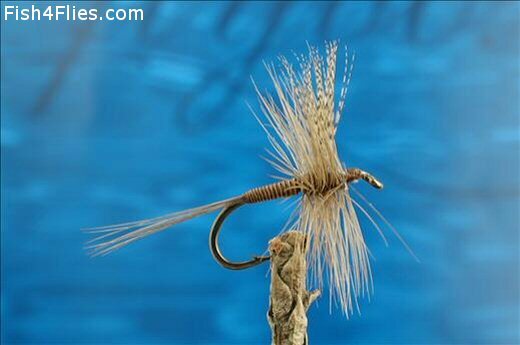 Hook : Dry fly,size 12-16. Tail : Dun hackle barbs. Body : Stripped quill from Rhode Island Rooster (Lacquered). Wing : Lemon flank from wood duck (imitation dyed mallard). Currently there are no comments about the Red Quill fly pattern from other fly fishermen yet.